Despite several communications sent to the War Office authorities, Mr. Smith Nixon, 13, Wilkinson-street, Lane Head, Briercliffe, has been unable to ascertain the fate or whereabouts of his son, Pte. 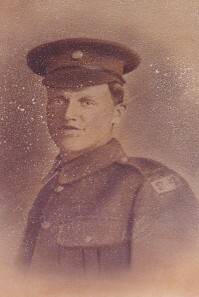 Ernest Nixon, Machine Gun Corps, who has been reported missing since March 21st last. Pte. Nixon, who is 20 years of age, joined the Hussars over two years ago, being subsequently transferred to the Machine Gun Corps. He went to France about last Christmas, and was wounded in February. He was sent to hospital, and in the last letter his parents received from him, dated March 22nd, he stated that while still in hospital he was convalescent, was improving nicely, and expected shortly to rejoin his company. No communication has since been received from Pte. Nixon. In reply to an inquiry made to the military authorities respecting his son, Mr. Nixon has been informed that he was in a convalescent depot on March 6th, and in consequence of the rapid advance at the end of that month the depot had to be evacuated. No trace of Pte. Nixon had been discovered since that time, and he has therefore been officially reported wounded and missing since the date of the German attack. In view of the letter they received from their son, the parents of Pte. Nixon are hoping to still receive news of their son’s safety, but such a lengthy lapse of time without any word has naturally increased their anxiety. They would be pleased if any of his comrades could furnish any information respecting him. Prior to joining the Army Pte. Nixon was a weaver at the Queen street Mill Co. Harle Syke, and he is on the Roll of Honour at St. James’s, Briercliffe. Thanks to Ruth and Peter Taylor for the image of Ernest Nixon.